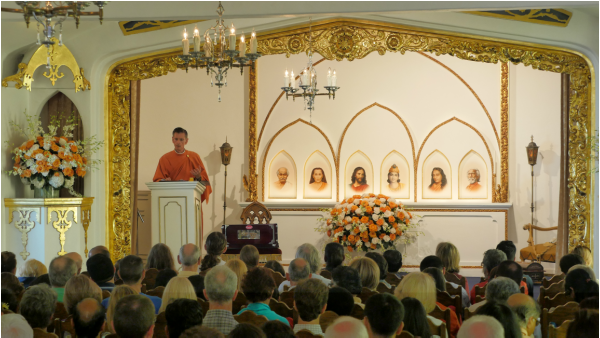 If you have a question about Paramahansa Yogananda's Self-Realization Fellowship teachings, you may submit it below and a Minister will answer it at an upcoming Satsanga Service. View our Calendar for details on the next Satsanga Service. If you would like to contact us about other matters, please use the information on our Contact page. Please note: Questions can only be answered at Satsanga Services, not by return email. Any personal information submitted (name, location, etc.) will be held in strict confidence.